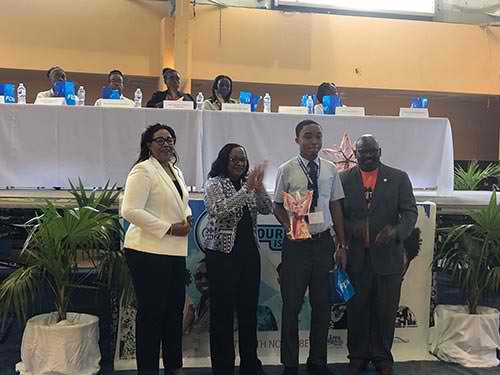 The annual Turks & Caicos Islands Youth Congress was held on November 21, 2018 at the Gustavus Lightbourne Sports Complex and Danae Dennie of the HJ Robinson High School emerged as the new Junior Minister of Tourism. 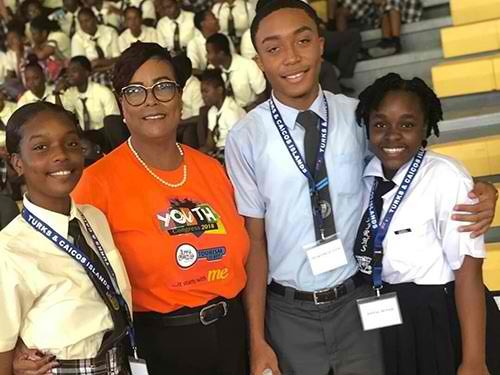 The annual TCI Youth Congress, hosted by the Turks & Caicos Tourist Board, is structured to mirror a Caribbean Tourism Organization (CTO) board of directors meeting. 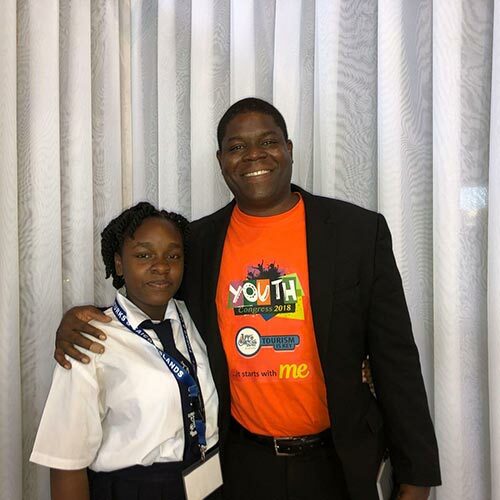 The winner is named Junior Minister of Tourism and will represent the Turks & Caicos Islands at the CTO’s Youth Congress at the State of the Industry Conference which will be held in St. Lucia in 2019. The theme for this year’s Youth Congress was ‘Adventure Tourism: Culture and national discovery through physically active and exciting activities’. There were seven participants from public and private high schools throughout the country. Each participant was tasked with proposing a new project in the adventure tourism sector within a three minute prepared speech. Thereafter, a mystery question was presented to each participant and they were allowed one minute to answer. 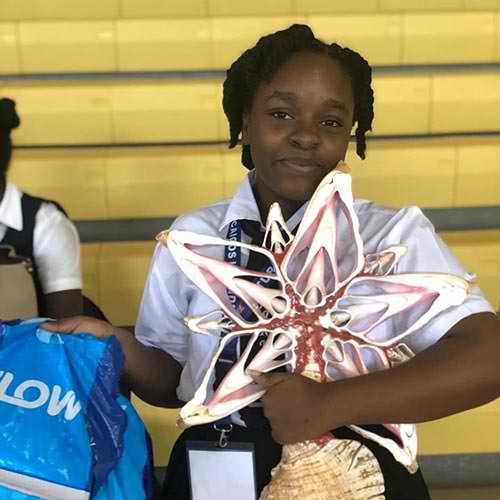 Ms. E. Blythe Clare, coordinator of the Youth Congress commented, “This year’s competition was very tight and the quality of the presentations was exceptional. I would like to extend thanks to our outgoing Junior Minister Zoe Butler and wish her all the best in her future endeavors. We’re excited to welcome Ms. Dennie to our Tourism Team. Ms. Dennie will work closely with the Tourist Board to execute her duties as Junior Minister of Tourism and our team will provide guidance as she launches two national programs during her reign. Ms. Dennie will be an ambassador for the country both locally and internationally”. Flow has been the premier sponsor of the Youth Congress for over 10 years and Provo Water Company joined as a sponsor as of 2017. The Youth Congress was attended by Premier Hon. Sharlene Cartwright-Robinson, Minister of Tourism Hon. 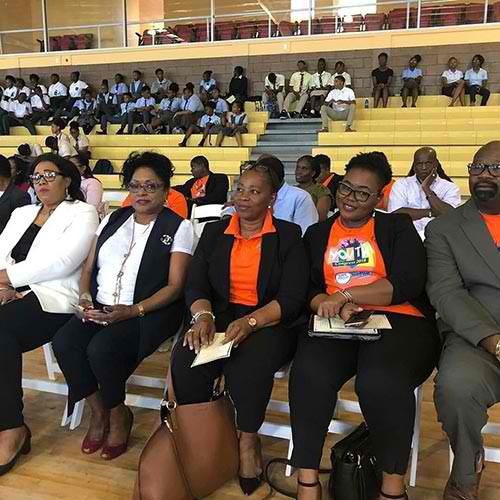 Ralph Higgs, Member of Parliament Mrs. Josephine Connolly, Permanent Secretary in the Ministry of Tourism Mrs. Cheryl Ann Jones, among other dignitaries and tourism industry stakeholders. : Premier Hon. Sharlene Cartwright-Robinson and Minister of Tourism Hon. Ralph Higgs present Aaliyah Elliot of the Clement Howell High School with third place trophy. Premier Hon. Sharlene Cartwright-Robinson, Minister of Tourism Hon. Ralph Higgs and Flow Country Manager Delleriece Hall present Shakeim Outten of Maranatha Academy with second place trophy. Caption: Premier Hon. Sharlene Cartwright-Robinson, Minister of Tourism Hon. 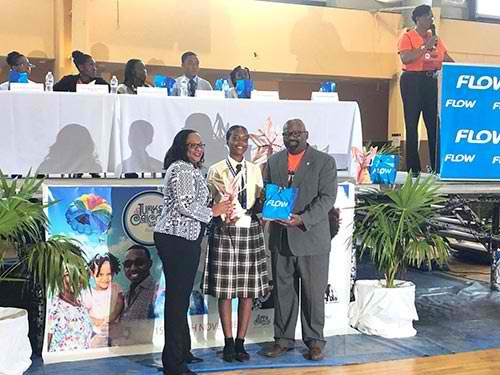 Ralph Higgs, Director of Tourism Ramon Andrews and Flow Country Manager Delleriece Hall present Danae Dennie of HJ Robinson High School with first place trophy. 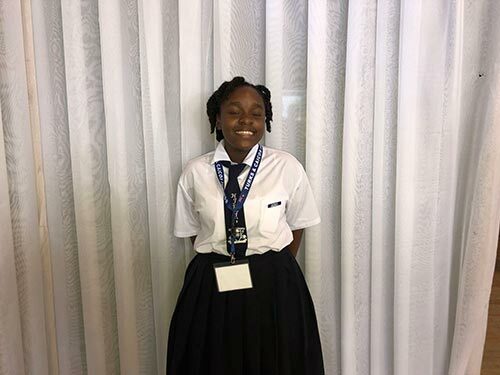 Danae Dennie, 2018-19 Junior Minister of Tourism for Turks & Caicos Islands. Tourist Board Training Manager Ms. E. Blythe Clare with top three finalists of Youth Congress 2018. L-R: Ms. Elisabeth Wilson Protocol Officer within the Office of the Premier, Premier Hon. Sharlene Cartwright-Robinson, Flow Country Manager Delleriece Hall and Member of Parliament Josephine Connolly. 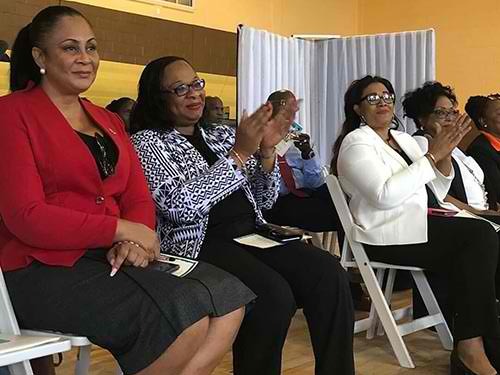 Flow Country Manager Delleriece Hall and Member of Parliament Josephine Connolly, Permanent Secretary in the Ministry of Tourism Cheryl Ann Jones, Leandrea Missick Executive Administrator within the Ministry of Tourism, Minister of Tourism Hon. Ralph Higgs. 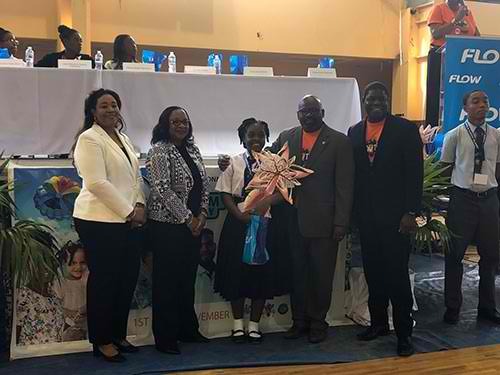 Danae Dennie, 2018-19 Junior Minister of Tourism and Shakeim Outten of Maranatha Academy, second place winner. 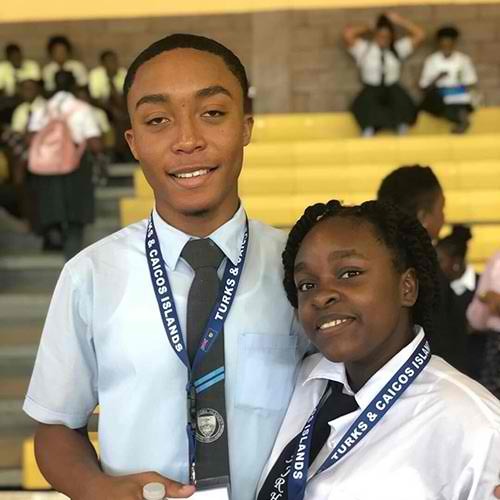 Danae Dennie, 2018-19 Junior Minister of Tourism and Director of Tourism Ramon Andrews.